Taking the later spot in this week’s reviews (since I’m a slacker, yes Daniel, I know), I am excited to bring you a pre-release review of Rocky Patel’s soon to be released 15th Anniversary cigar. The Good Stuff: A few samples of this blend was sent over to me by our friends at Rocky Patel. As the name states the 15th anniversary cigar is being released in celebration of Rocky Patel’s 15 proud years of production. Since the begenning of his time, Rocky Patel has produced enourmous amounts of award winning blends and has become a staple in just about any cigar smoker’s humidor. The 15th Anniversary is being produced in Rocky Patel’s own factory in Nicaragua in 4 sizes, Corona Gorda, Robusto, Toro, and Torpedo. I don’t have the specs on the sizes but I’m sure you get the jist of it from thier names. They will come in boxes of 20 with a release date set of July 30th, 2010. The size I am going to be reviewing is the Robusto. Prelight: The Rocky Patel 15th Anniversary is a beautiful, boxpressed cigar. The wrapper is an extremely consistant, milky brown that leads up to a perfectly applied triple cap. 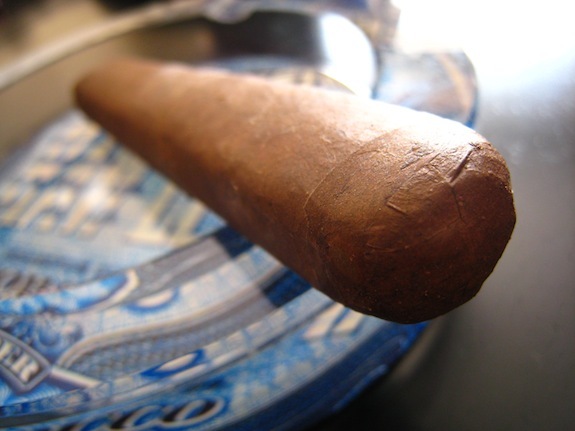 The cigar is very firm to the touch in all spots accept close to the foot, where it is noticeably softer. There are a few very small veins, but nothing too big or in need of any concern. Outside of a very small tear close to the foot of the wrapper the 15th anniversary’s construction is spot on. 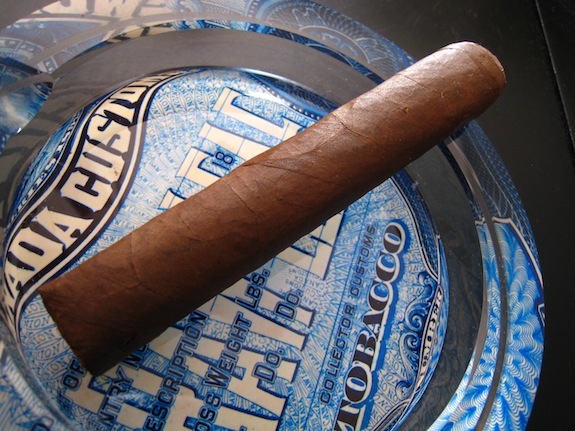 The scent of the cigar is a very, very pungeant tabcco flavor. It stinks so good. Really. Outside of the very strong tobacco aroma the 15th anniversary gives off slight earthy and cinimon tones, only to be more prominent from the foot of the cigar. The 15th anniversary clipped with ease using my Cuban Crafters perfecto double blade cutter. The cold draw is effortless and produces a very sweet, spice and cinnamon mixture with tobacco undertones. First Smoke: The Rocky Patel 15th anniversary surprised me with a splash of pepper right off the bat that was only present long enough to tickle my toungue. The pepper faded quickly and was quickly replaced with organic tobacco, chocolate, cinimon, cedar and a slight zesty tart flavor I couldn’t really pick out. It wasn’t prominent at all. The burnline was a bit wavy right away with a few little runs that I hope don’t get too crazy. The draw was thick and effortless producing a very cedarisque scent upon release. 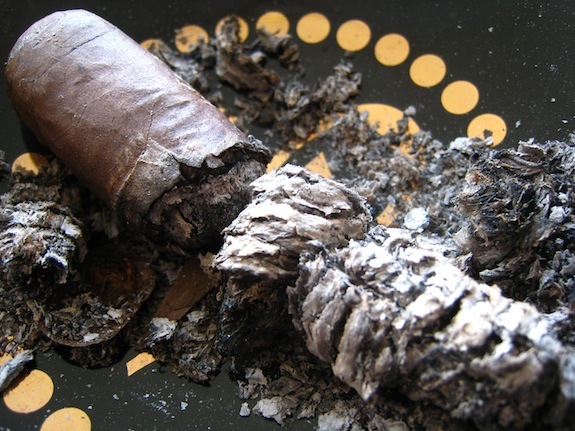 This cigar prodces almost not stationary smoke, and the slight breeze made it extremely difficult to detect any scent being produced by it. The ash produced from the 15th anniversary is a light grey with subtle darker spots and very flaky around the edges and held on for about an inch and a half before giving way. 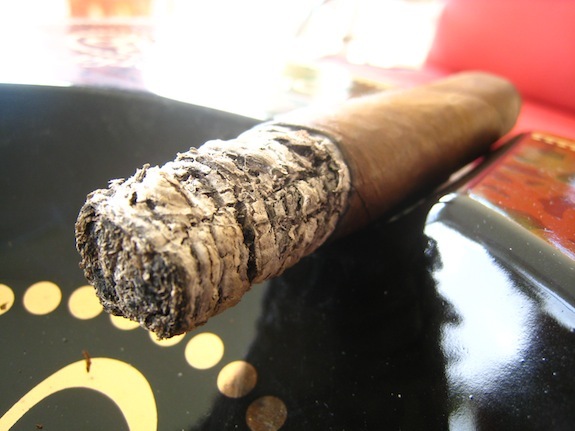 The ash and burn produced from this cigar reminds me of most cubans I have smoked. One note is how much I enjoy this vitola. Fits perfectly in your hand, and even more comfortably in your mouth. Halfway there: Just as the tart flavor was beginning to overpower this cigar, I was pleasantly surprised with a burst of floral flavors. The flavor has now became much more sweet with hints of sweet tobacco, the floral I announced prior, cedar and cinnamon. This was a very welcomed change up as the tartness was just about to become unbearable. The retrohale is very pleasant, and helps coat the nasal pasagges with a cedar aroma/taste. I am starting to feel a slight dash of nicotine, but nothing too powerful at the moment. Still running very smooth, with no signs of harshness. Finish: The tart, and harshness is starting to form now, but is casually cloaked by a strong boast of cedar. Along with that the floral flavor is still running full steam. This cigar definitely has it’s share of surprises. Each time the experience starts going down hill another characterstic is brought to the center stage. I am actually starting to feel the nicotine ramp up to a slight nicotine kick in the final third. 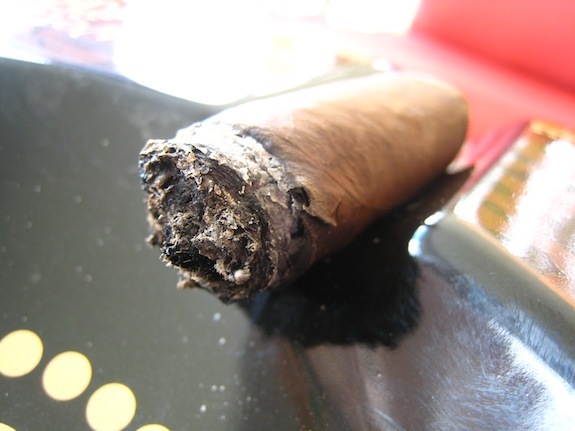 The burnline is still even for the most part with no need to touch up, or relight the cigar. There was a quite ramp up in harshness within the final third, which sadly I expected. I took my time smoking this one too in hopes that it would offset any harsh buildup. Overview: Honestly, There aren’t a lot of Rocky Patel cigar that really stand out in my opinion. That being said, the 15th anniversary is one of the better sticks produced by Rocky Patel. This isn’t a cigar I’d pick up a box of, but due to the great change ups and constant differences in flavor it is something that I wouldn’t mind smoking again. It does keep you on your toes. But don’t let my opinion discourage your from picking up this product. I think the flavors produced and the overall experience would be stellar as far as other people’s wants from a cigar goes. Just not mine. Pick a few up if this sounds like something you’d like. Especially if you’re a fan of Rocky Patel. 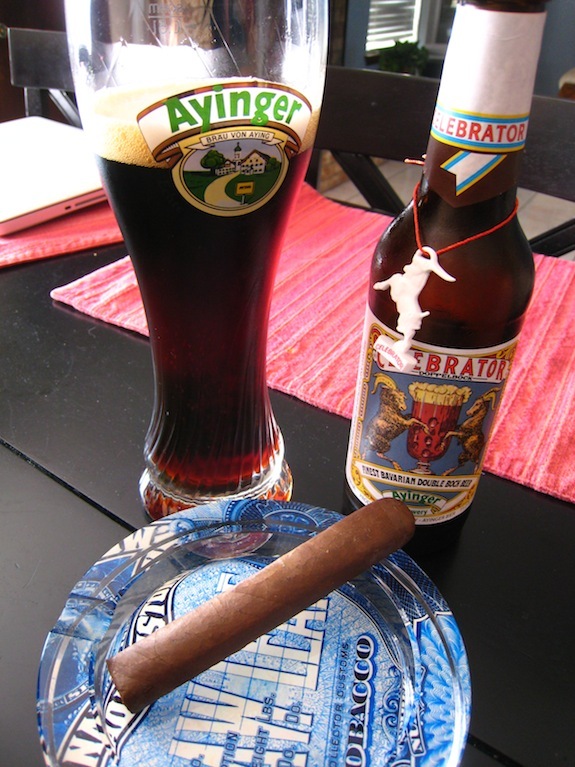 Pairing: I paired this cigar with one of my all time favorite beers, Ayinger Breweries Celebrator Dopplebock. As many of you know, I love my Double’s and this beer is the cream of the crop. Produced in Germany… you know.. Germany.. the country that should have won the world cup… but that’s a story for another day. (kidding of course, Spain is a really good team and deserved it) most, if not all of Ayinger beers are produced under the Germany beer brewing purity law of 1516 which limits of all beers to be produced using only 4 ingredients. Barley, Wheat, Hops, and water. This Dopple Bock boasts a alcahol content of 6.7% enriched with flavors such as wheat, caramel, chocolate, and wheat. This made a great pairing for the cigar, but overpowered the mild stages in the experience. 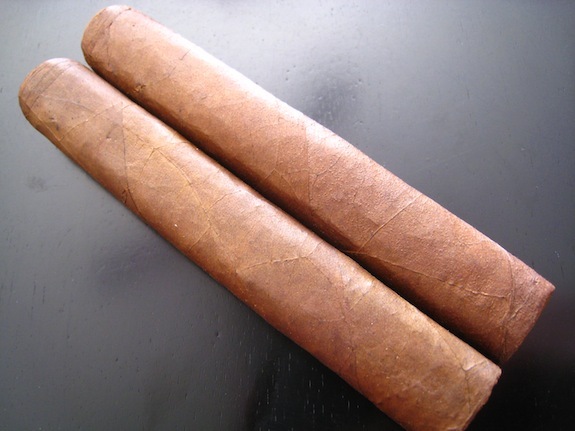 This cigar is best paired with something more mild such as tea, a nice pilsner or wheat beer, and even milk. That’s right milk. Great review! I was gonna get some of these at Cigar Expo but I did not see them again to snag any 🙁 Sounds like he ramped up the power a bit for this stick. Would be nice if after aging the harshness at the end would go away. Nice review Tony!! Im interested in seeing how these fare with some aging! I agree 100% with both of you. Some aging will do a bit of good with this stick, it is a prerelease so its probably still pretty young. Yeah, I only had the un-boxpressed toro when I did the review. It is a pretty decent smoke, but for me it started out amazing, and then ended up becoming a little bland. On a side note, Tony, I was actually born in El Paso. Seems that a lot of pre-releases get the same sort of problems because they are so young. Let’s hope age does them some good! I’m definitely gonna seek out that beer while down in Florida, just so I can get thank fancy goat on a string. hahaha! 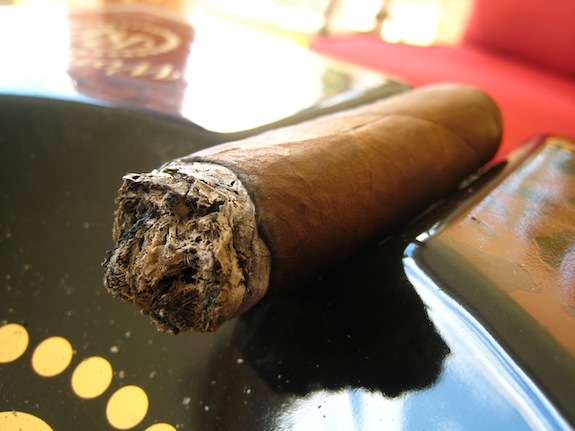 Very good review…I picked up a couple sticks yesterday and smoked one last night…damn that was an excellent smoke!!! I started out pairing it with just water and about half way I pulled out the Grand Marnier…yummy combo. I will be adding the 15th Anniversay to th humi for some aging and then light up again!